As my dog gets older, things have started to change for him. His eyesight isn’t as great as it used to be and his hearing isn’t either. What really gets to me though is his sad barks from the bottom of the steps every time he goes to the bathroom. Chichi, my dog, has no problem getting down the stairs but at his thirteen years of age going back up them can be a problem. I find myself stuck between the desire to keep him active and moving and the need to protect his joints from any further damage. 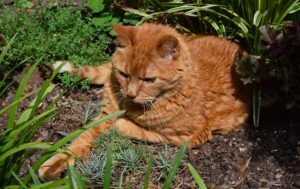 The reality is, no matter how old your pet is there are measures that you can take to help prevent arthritis. As a pet parent who wants the best for their loved one, it’s important to read up on preventative care techniques. To help you with the process here are some ways to help prevent pet arthritis. The first thing to know is whether or not your pet is more prone to arthritis. This doesn’t mean that other pets don’t get arthritis, just that some are more likely to develop it. This is why it’s essential to build your base off of your pet’s medical predispositions. You can find a list of dogs and breeds prone to arthritis here. One of the most significant contributors to pets getting arthritis is their weight. An easy way to prevent your furry friend from having degenerative joints is to keep their weight down. Being overweight puts undue stress on your pet’s joints and prevents them from moving as they should. If your pet is already overweight, it’s time to think about changing their diet or monitoring their food intake. A great way to prevent arthritis is to make sure your pet is eating foods rich in glucosamine, chondroitin sulfate, omega-3 fatty acids, vitamin E, selenium, and MSM. There are many different forms and sources for you your pet to get these imperative nutrients. My favorite is a type of dog treat loaded with glucosamine, chondroitin sulfate, omega-3 fatty acids, vitamin E, selenium, and MSM. Of course, you can get dog food with these vitamins or go with an old-fashioned pill—though those are harder to keep up with. To find the right food for your pet check the nutritional labels or just do a quick search for dog or cat food made for preventing arthritis. While our pets can bounce back quickly from a bad fall, it’s important to check them for any signs of injury. Palpating their body and watching to see if they’re protecting a limb are great ways of recognizing if your pet has been injured. If you’re suspicious but just not sure, take your pet to the vet anyways. Let the medical professional tell you what’s best because untreated injuries can lead to joint damage down the road. As with all medical problems for your pet the best thing to do is have regular check-ins with your veterinarian. 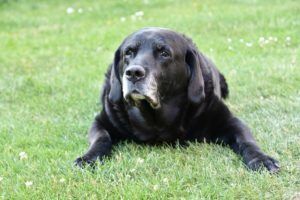 They will be able to monitor your pet for any signs of arthritis and make any recommendations in change of diet or activities that would help. So make sure to check in with your vet and take any advice they provide—doctor knows best. What have you found useful in preventing or managing your pet’s arthritis? Leave a comment and let us know!